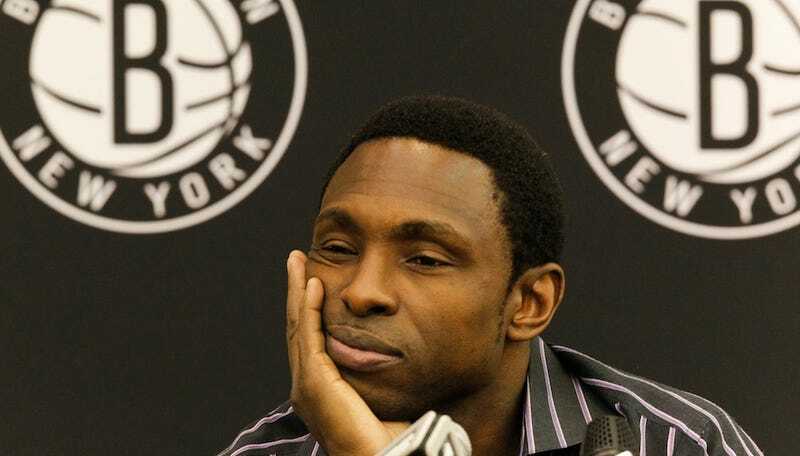 When the Nets fired Avery Johnson this past Thursday after he compiled a .500 record with a new and newly talented roster, many people noted that Johnson had suffered a particularly dramatic reversal of fortune: After going 11-4 in November, Johnson won Eastern Conference Coach of the Month; after the Nets went 3-10 in their first 13 December games, Mikhail Prokhorov and the rest of the Nets upper managment relieved him of his duties. So it was that miserable December that did him in, right? The decision has been in the works for the past month, said one source, that the Russian ownership had been unhappy with team play since the season's earliest games. According to a second league source, Mikhail Prokhorov was "very disappointed" with the team's play when he watched three games, all losses, earlier this month. The decision was made by Prokhorov in conjunction with Dmitry Razumov, his No. 2. Razumov has been Prokhorov's contact point with the Nets basketball operations. Back when Mike Brown was considering the chance to be the Nets' coach, someone with knowledge of the Russian ownership group had warned him: You don't want to be the Russian's first coach, be the second one. Nevertheless, this wasn't as rash of a decision as it feels with the Nets losing 10 of 13 games this month. Johnson had moved into the final year of his contract, wanted an extension and the Nets were left with a choice: Give it to him, or move him out now. Even back in November, Prokhorov "sidestepped a question about Johnson's job security" and "stopped short of saying he's negotiating a contract extension" with Johnson. That's because he wasn't: Johnson was one of the only members of the organization not signed through next year at least, and even when the team was winning, Prokhorov had been unhappy with its play. The Russian plutocrat claims that he decided to fire Johnson last week (he had to do some heli-skiing first, naturally), but refusing to discuss Johnson's contract in November, when the team was playing brilliantly and after Johnson had actively sought an extension—ESPN reported, "Johnson besieged his bosses for a contract extension before the season"—suggests that Prokhorov and company weren't interested in Johnson coaching the team in the long run anyway. If winning in November couldn't make the difference, losing in December didn't either. Which, in a sense, makes the supposed reversal of fortune all the more dramatic: Avery Johnson didn't go from riding high to fired—he won Coach of the Month despite having essentially been fired already.